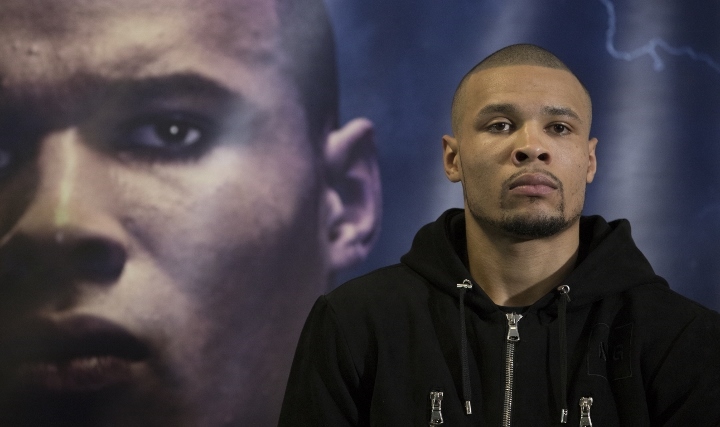 IBO super middleweight champion Chris Eubank Jr. has received some urgent advice from his most recent trainer, Nate Vasquez, to stop jumping around from coach to coach and feels that he should finally commit to a long-term trainer. Eubank Jr. used Vasquez earlier this year, when he picked up the biggest win of his career with a dominating twelve round decision over former world champion James DeGale. DeGale, who was dropped twice in the bout, retired in the aftermath. Vasquez has not heard from Eubank Jr. since the victory. And he’s received word about Eubank Jr. training with veteran coach Virgil Hunter in California. Vasquez believes Eubank Jr. is only hurting himself by constantly jumping around to different trainers. If Eubank Jr. decides to once again switch trainers, Vasquez will not hold a grudge against him. “I don’t know if jumping trainers will help him,” Vasquez told Sky Sports. “You can’t learn if you’re jumping trainers from time to time. If you go from trainer to trainer to trainer, it’s not good. I got the best win of his career with him. I’m not mad at him if he goes to another trainer. “I don’t think Chris Jr will do a training camp in California without any of his people there. And I don’t think Virgil Hunter will leave California. Chris wants to be a boxer but he needs a lot of work on his footwork, and his style isn’t meant to be a boxer like Roy Jones Jr or Andre Ward. Some styles can’t change and, if he changed, it wouldn’t suit him.